Uniqueness of this attraction This gigantic aquarium covering over 6 acres houses more than 4,000 marine creatures and tropical birds. A close up with the Amazonian Arapaima, the biggest freshwater fish by the entrance is definitely picture worthy. Here, you can feast your eyes in the 15 metre underwater tunnel with beautiful corals and marine creatures that you rarely get to see. Marvel at the array of tropic birds, see the smallest monkey in the world called the Marmoset, watch the fur seals perform, awe at the Rock Hopper penguins jumping, catch a glimpse of the sharks, Sea Dragons and feed the fish by the Koi Pond. This is the best place to bring your little ones for an exposure of the underwater marine life up close. They will surely be excited to meet these unique creatures. Other things to do here? Browse and shop at The Zon duty-free shopping centre which is upon the exit of the Underwater World. You can also take a tour to the Crocodile Farm located nearby. What to bring home? You can't take the fishes home, but you can get a fish made of glass by the souvenir shop near the exit. And definitely get some good shots of you and your family by your favorite animal and frame it up back home! Getting around You can rent a car or hop on a taxi which takes about 30 minutes from Kuah Town and around 15 minutes from the airport. The entrance ticket can be bought at a cheaper price by resellers outside the compounds of the Underwater World. The exit of the Underwater World goes right into the Zon duty-free shopping centre. Be mindful the crowd. Before you enter, you will be asked for a photoshoot. You can then purchase the framed picture nearby the exit. Remember not to use camera flashes when taking pictures as it will irritate the inhabitants. There is a cafe located inside the area if you want to get some snacks or drinks. 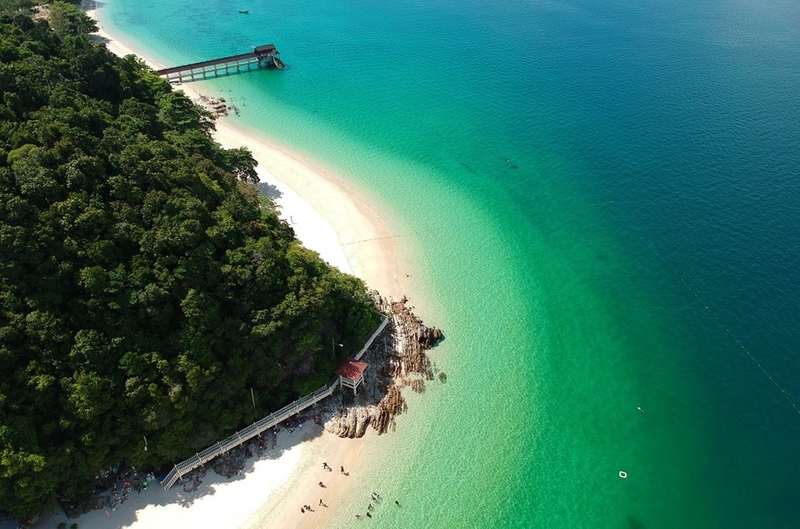 Get the most of the tour by visiting around the feeding time which you can check on their website at http://www.underwaterworldlangkawi.com.my or you can call them at +604-9556100. The best spot for marine life lovers and perfect for kids! Step into Malaysia's largest aquarium and walk through the different climatic zones. Worth visit. Thats all I can say, my kids really enjoy visited this place. You can experience many underworld creature, the best is when we go through...read more Worth visit. Thats all I can say, my kids really enjoy visited this place. You can experience many underworld creature, the best is when we go through Penguin section. Well manage and very clean for penguin to live far away from their real habitat. I recommend this place to a must visit attraction in Langkawi. Will come again next time!